Often the flavours commonly associated with Chardonnay wines come from winemaking techniques rather than the grape variety itself. The style varies greatly depending on where it is grown and is particularly determined by the temperatures during development of the grape. Creamy (dairy-note) flavours often develop during malolactic fermentation and can be encouraged by longer time spent on the lees after fermentation. Time spent maturing in oak imparts biscuit flavours (toast, coconut and vanilla). 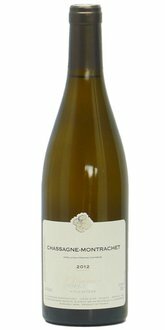 The best Chardonnay wines age well and develop a honeyed, nutty savoury complexity. It is characterised by its yellow and very light green colour and by a intense nose. The initial vegetal aromas take place to a wine deep in structure which unites floral and ripe fruit (banana) and ‘viennoiserie’ such as ‘brioche’ fragrances. The mouth is very well balanced, round and with a light woody taste at the end. Intense, fruity aromas with well-emphasized touches of peach, mango and pineapple. The forward fruit and un-oaked flavours are followed by a big, luscious finish. Pale gold in colour, this Chilean Chardonnay combines aromas of ripe pineapple and peaches, complemented by fresh citrus and tropical fruit flavours on the palate.